When you combine these two facts, you can reduce the amount of fertilizer and nutrient management you have to do, creating a large net saving. There is good evidence to suggest there is water savings too, though this is highly environment and crop dependent. In fact, one of the most common bits of feedback we get about our trays when growers first trial them is that seedlings are tall and leggy. This is almost guaranteed to be because they over-feed and over-water them, as they are used to what seedlings need when in an inferior tray. Once this is realised, the second trial produces plants arguably better than those from a Styrofoam tray – and often a little quicker too! Interested in learning more or doing trials? We offer free samples to those looking to make the switch. 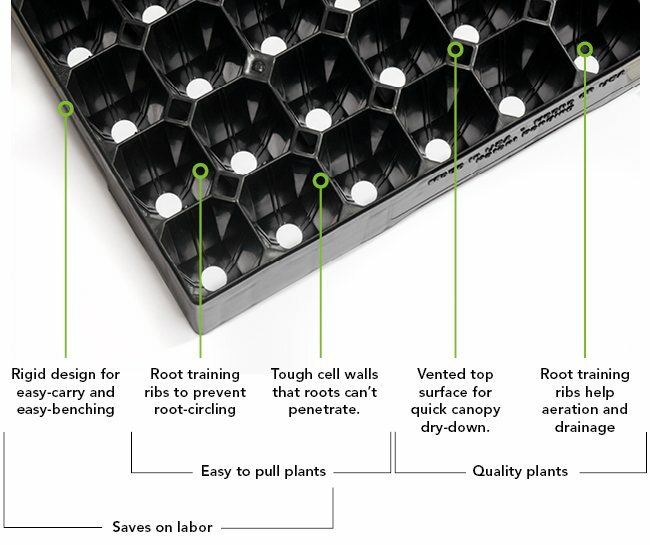 Previous PostPrev: Proptek Trays Now Available Via Greenhouse Megastore!